This wouldn’t be much of a WoW blog if I would ignore the big news of the past few weeks, the recently announced expansion pack Cataclysm. I am not going to repeat here everything you can read on every other news site. Just a few thoughts :). First of all, I am very happy it’s not just another 10 levels and a new continent. Ofcourse that would have sold well, would have probably been not too hard to make, and would have kept most people happy. I would have bought that one, probably enjoyed it as well, but what is coming now, is nothing like that. I agree with Randy of The Instance podcast, that this is as close to WoW 2.0 as we’re going to get. The whole old world will be redone ! We’ll be able to fly all over the old world as well. This must have been a tremendous amount of work. The new leveling experience will be nice as well. The old stuff has been around now, since 2004 (or early 2005 for us Europeans), and it’s getting a bit old in the tooth. Especially taking into account, that Blizzard now has gotten much better at creating quests, areas, etc. Look at the Bloodelf or Death Knight starter areas and you know what I mean. For some reason a Goblin Hunter sounds very appealing to me. I already got a hunter, but wouldn’t mind leveling another one in the new content. They’re such a fun class to level. A troll druid sounds like fun as well though. Apparently they’ll get their own bear and cat graphics. The new addition to the Horde ! All of the other new stuff sounds great as well, guild leveling (hopefully also interesting for small guilds), Path of the Titans (sort of an extension of the talent system, from what I understand), new battleground etc etc. So isn’t there anything you dislike about this expansion pack ? 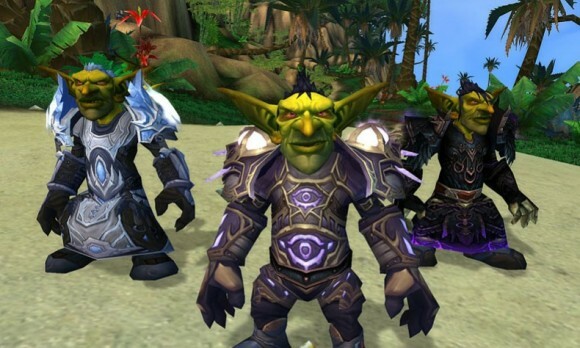 Check out wow-insider for all the news at http://www.wow.com/cataclysm/. Also you might want to listen to the Instance’s Blizzcon coverage at http://www.myextralife.com/wow/.